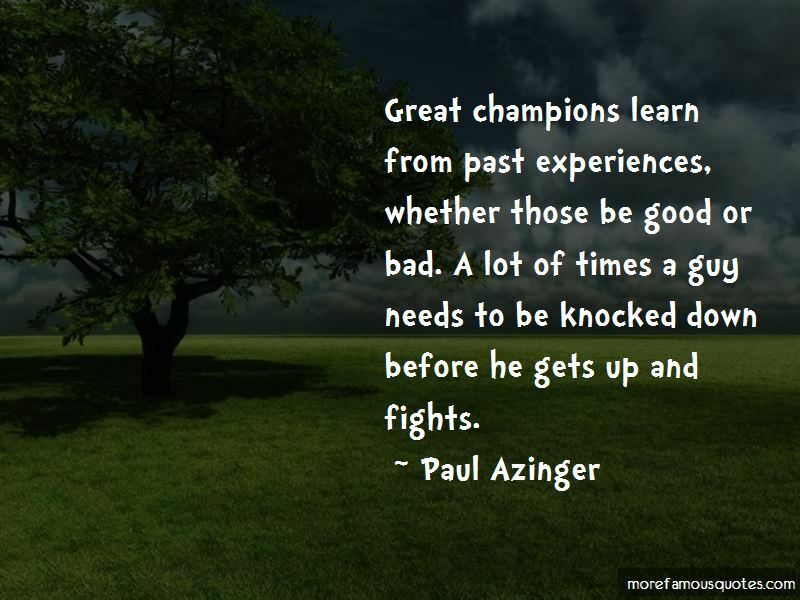 Enjoy the top 7 famous quotes, sayings and quotations by Paul Azinger. Staying in the present is the key to any golfer's game: once you start thinking about a shot you just messed up or what you have to do on the next nine to catch somebody, you're lost. I didn't even know how to shave at 15. The best players in the world are playing to make history. 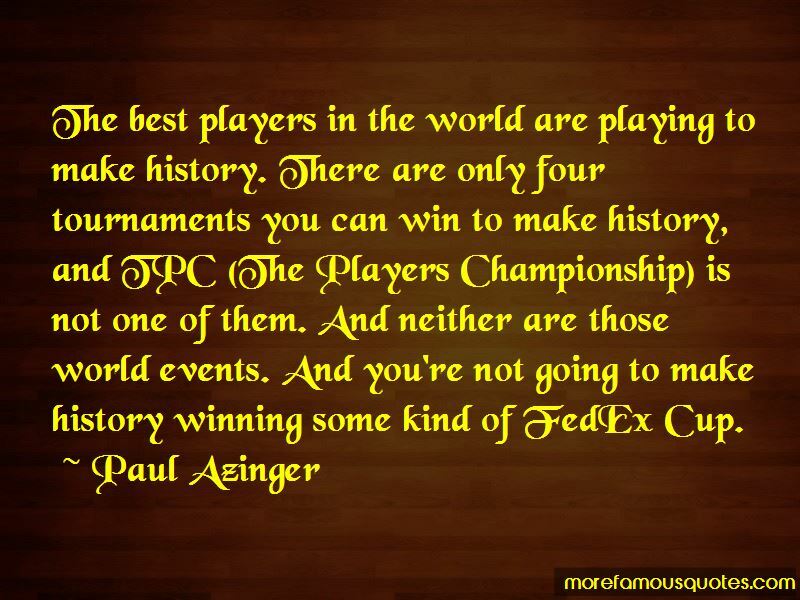 There are only four tournaments you can win to make history, and TPC (The Players Championship) is not one of them. And neither are those world events. And you're not going to make history winning some kind of FedEx Cup. 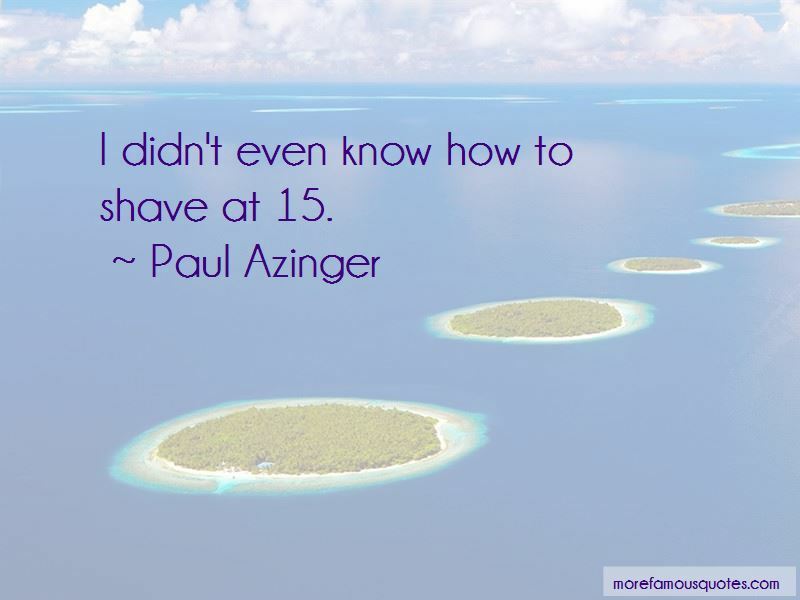 Want to see more pictures of Paul Azinger quotes? 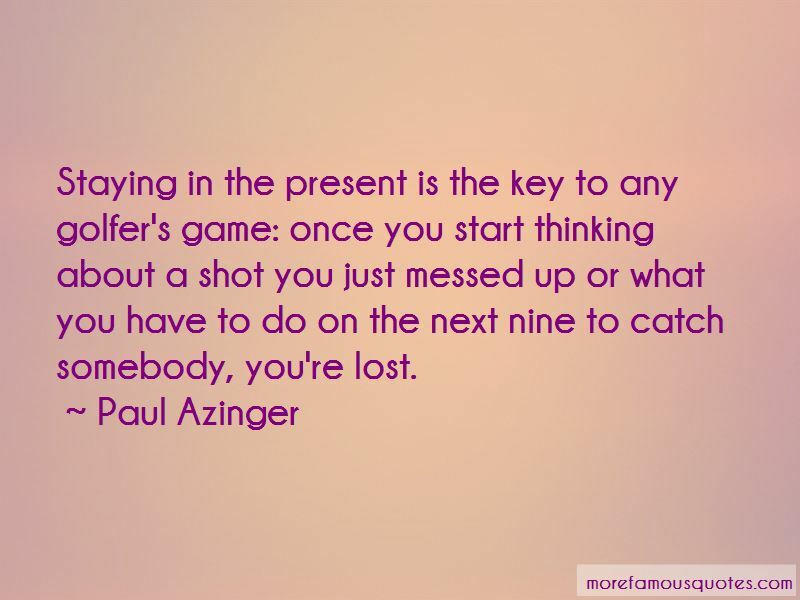 Click on image of Paul Azinger quotes to view full size.